If you’re PCS’ing to Whidbey Island NAS, then you’re in for a real treat. Whidbey Island is located in northwest Washington about 90 minutes north of Seattle. And the really great thing about this location is the scenery. Not only are you immersed in beautiful tall pines and evergreens in this part of the country, but you’ll be surrounded by water and beaches. Plus, you’re within a few hours of some great weekend destinations: Mount Rainier National Park, Olympic National Park, Hoh Rainforest, and Mount Saint Helens, just to name a few! But as excited as you are to get to the area and start your explorations, we know that you're just as eager (if not more) to get settled into your new home. That’s why we’re highlighting a couple of homes located just a few miles from base with incredible views. This four-bedroom, three-bathroom home won’t leave you wanting for more. You don’t even have to step inside to fall in love with this property because the wrap-around porch will be your love at first sight. But your infatuation won’t end there. Step inside and you’ll see how much more there is to love. 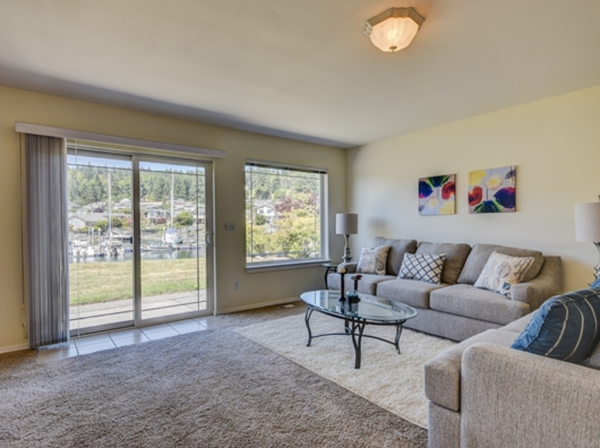 The open floor plan and spacious living room with sliding doors make this space great for families. 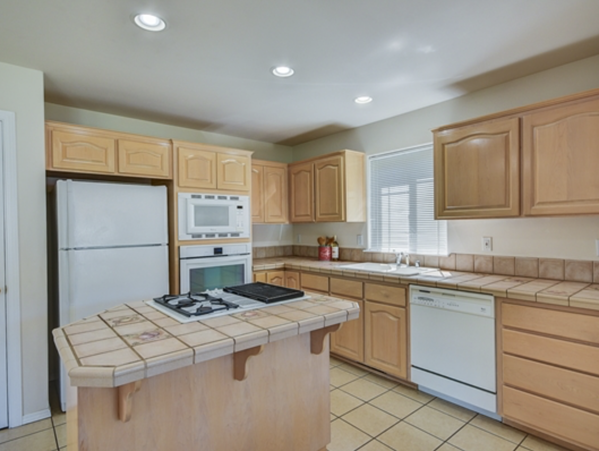 Not to mention the newly updated kitchen where you’re sure to enjoy cooking with the stainless steel appliances, white cabinets, eating bar, and bright windows. 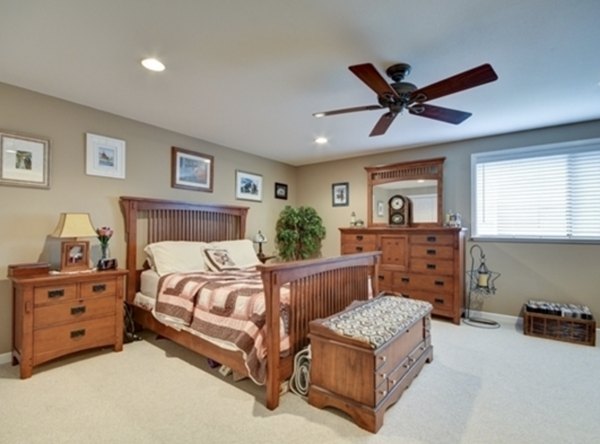 The master suite is roomy with a walk-in closet and private bath with a walk-in shower. Other features that you’ll be happy to have are the finished basement, fully fenced-in yard, and two-car garage. But the real selling point of this property is the view. 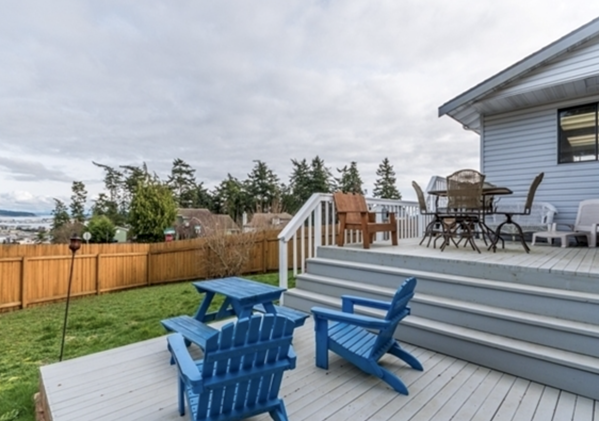 Enjoy sitting on the back deck with your morning coffee or evening beverage with Mt. Rainier and Oak Harbor Bay as the backdrop. What more do you need? Ready to jump all in at your Whidbey Island NAS assignment? 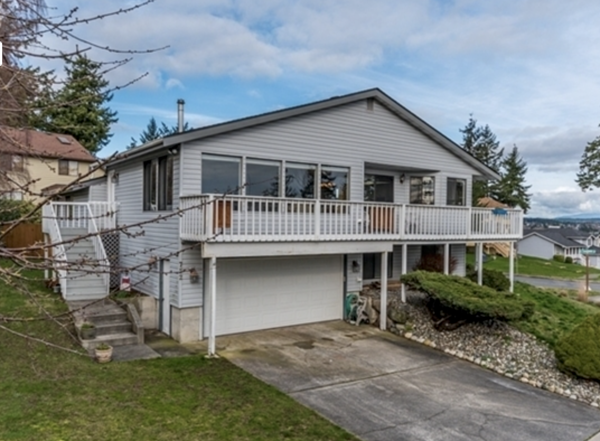 Then be sure to check out this three-bedroom, two-bathroom waterfront home for sale. There are a lot of things that will make it hard to say no to this beautiful home. 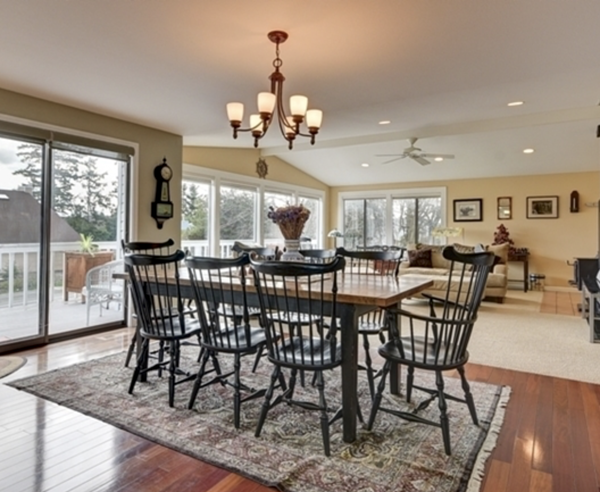 For starters, it’s a spacious one level home which makes this space perfect for families and entertaining. 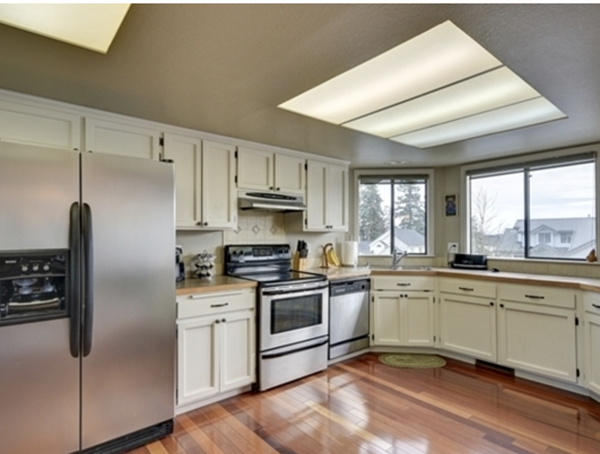 It’s hard not to love the kitchen with its incredible view, cooking island, ample storage, and breakfast bar. But this house is so much more. The community is the ultimate draw to this great northwestern property. 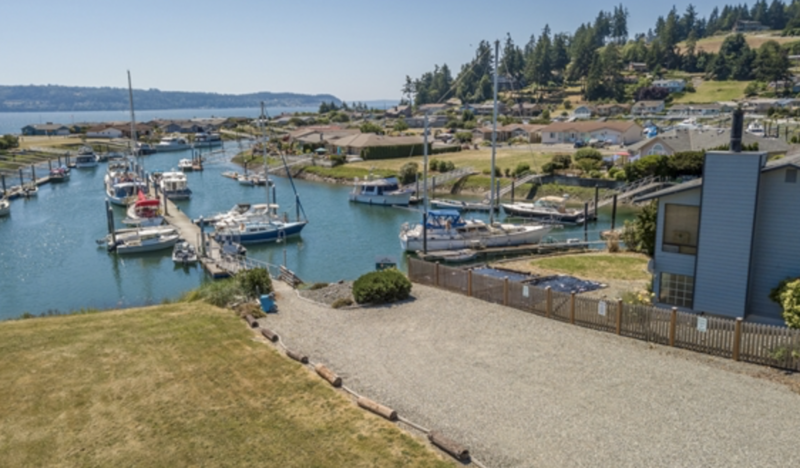 Not only can you enjoy a view of the water from your home, but take advantage of your location with access to the community boat launch, beach, and tennis courts. 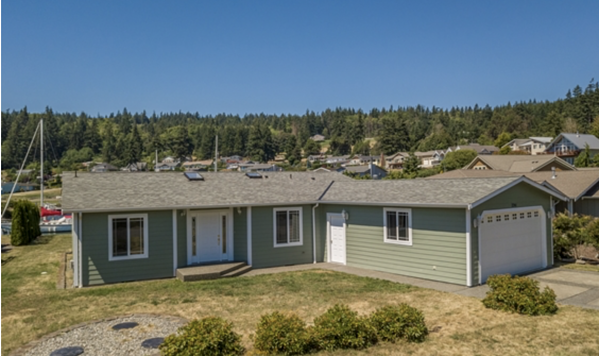 We know how excited you are to get settled into your Whidbey Island home, so let MilitaryByOwner help you find it! Click below to view area homes and then narrow your search from there. Use our search advanced search criteria like city, pet policy, price, listing type, and more to help you find the house of your dreams. Join the conversation! Connect with MilitaryByOwner on Facebook and Twitter.